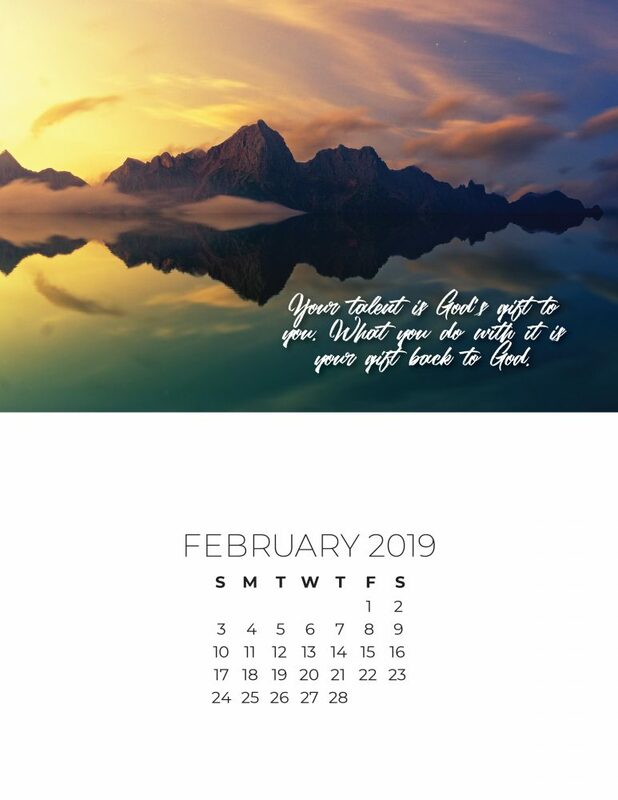 Looking for February 2019 calendar pages? 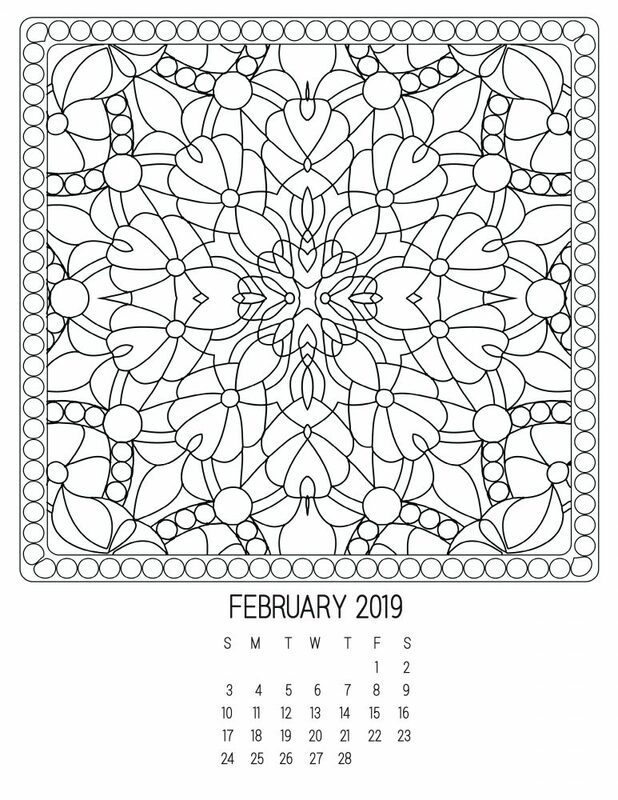 Here are calendar pages for February 2019 you can download and print. No need to print the whole calendar, just pick the calendar page you require for February. 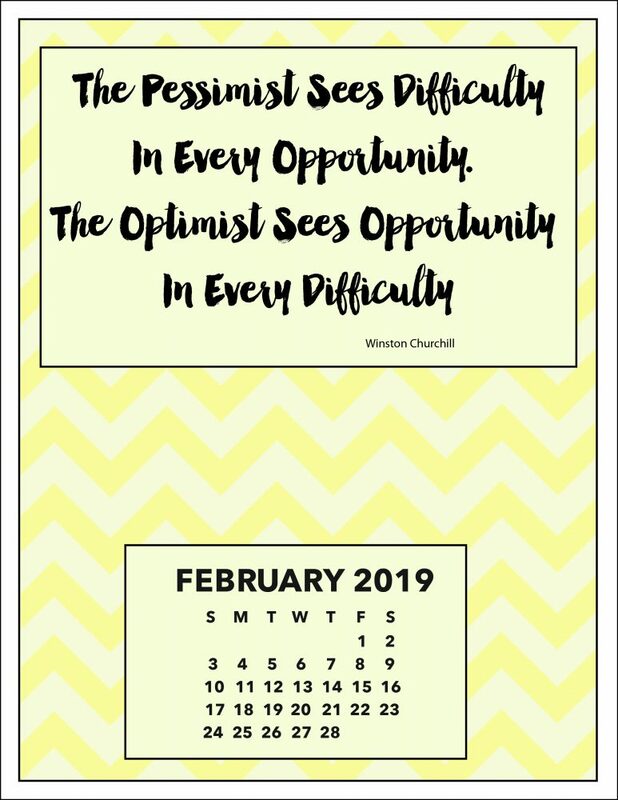 “A pessimist sees the difficulty in every opportunity, the optimist sees the opportunity in ever difficulty” This motivational calendar has a colorful chevron pattern. “Your talent is God’s gift to you. What you do with them are your gift to God.” This calendar has a thoughtful sentiment and winter themed photo. ” Life is 10% what happens to you and 90% how you react to it.” This calendar features a strong affirmation. 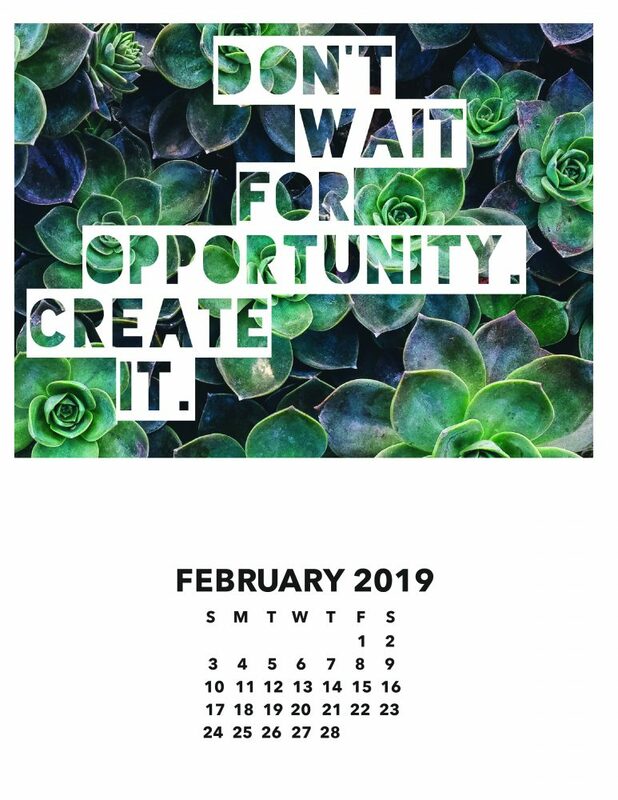 ” Don’t wait for opportunity, create it.” This motivational calendar has beautiful succulent photo. 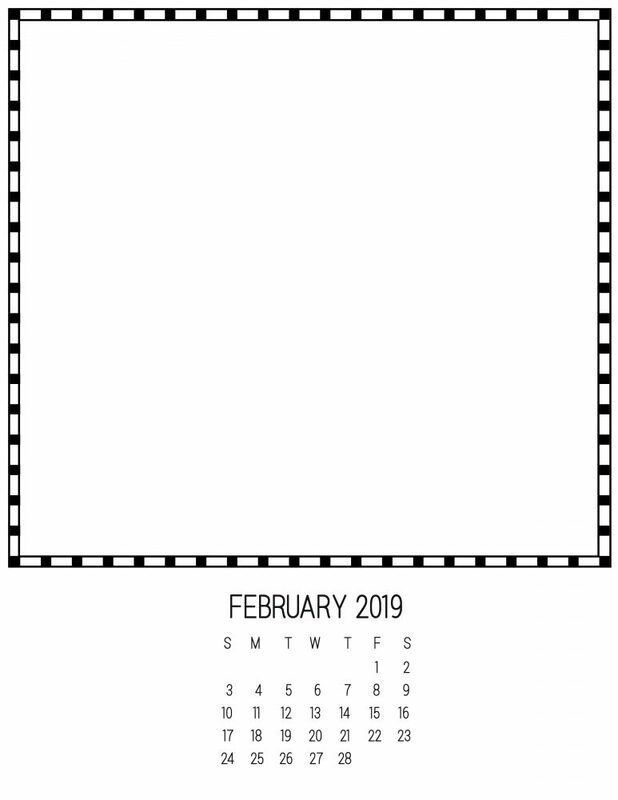 February DIY Calendar – Create Your Own!